Before the first man placed a foot on the moon, kids in the 50s and 60s were preparing for their own ride. 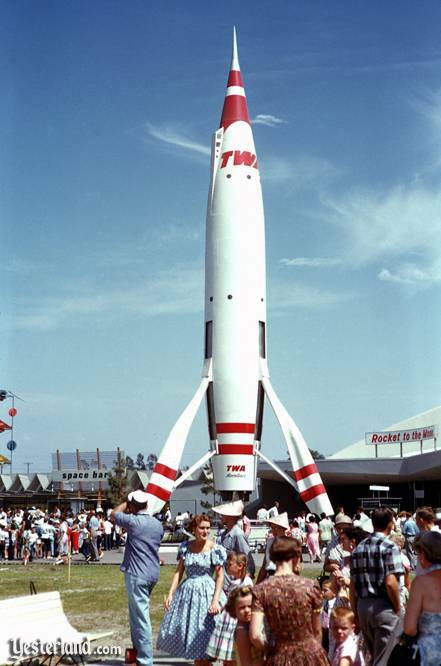 A prototype passenger rocket was installed at the futuristic Disneyland hyperreal theme park “tomorrowland,” where you could blast off on TWA’s now legendary ride, “Rocket to the Moon.” This was my first authentically grandiose life changing multimedia experience: (many more have followed over the years…) it was nothing short of thrilling. 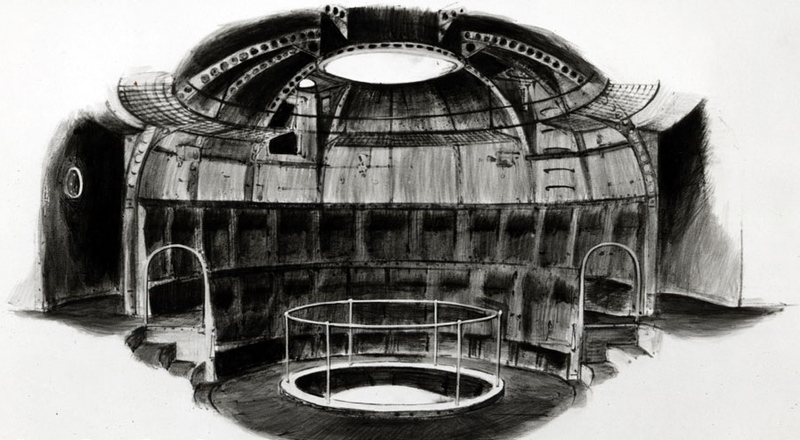 The viewer entered a dark theater in the round, where in the center, a large circular television screen gave you a view of the engines firing, preparing for blastoff. By the time the countdown reached 0, a tremendous roar shook the seats, the engines blazed bright beneath our feet and we lifted. Much to the delight every 6 year old who had never even flown in an airplane, let alone a rocket, the ground receded on the viewing screen until just a minute later the earth had become a tiny blue speck in the starry night. Of course we eventually landed on the moon and unfortunately had to come back to earth. But after this, earth was never the same. With this proto-multimedia thrill ride experience, I had blasted off from reality. This was the beginning of a post reality, when the media becomes so convincing that we forever suspend disbelief: after this, the imagination is capable of anything. So yes, I have been to the moon and back (numerous times) and need only step into my dark, underground studio bunker to plan my next journey to whereverland. Bon voyage.